Day 4 - After yesterday's epic journey and a lot of snow falling overnight we felt today should just be a shorter day and seek to out the entrances for some routes to potentially do over the next few days. After breakfast which AGAIN consisted of bread and jam. I asked about lunch, whether it would be a packed lunch or hot lunch when we got back. Once again very limited English and in the end we decided to just go without and grab some snacks, all of a sudden a knock on the door and a man saying 'lunch' we were both relieved so I headed down to collect it and then I saw it! They had made us a lovely hot Tagine, it was 9:30am but we felt rude and tucked in anyway. 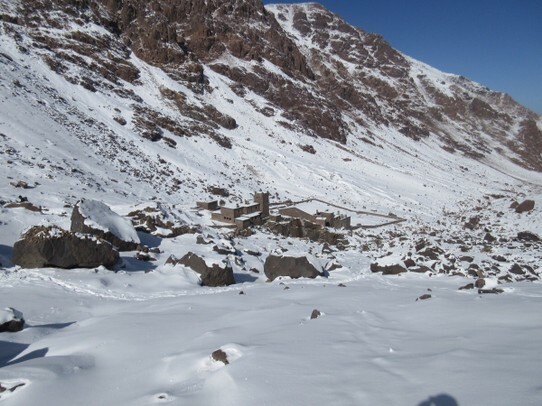 Later we found out that our plan for the day was a good idea as a couple of people had to bail there attempt on Toubkal due to snow and high winds. After having the whole Refuge to ourselves and a couple from the Czech Republic, getting back to teams of Canadian, Spanish and English arriving was a bit crazy but everyone was very friendly and soon all sat around the fire talking, was a really nice vibe. 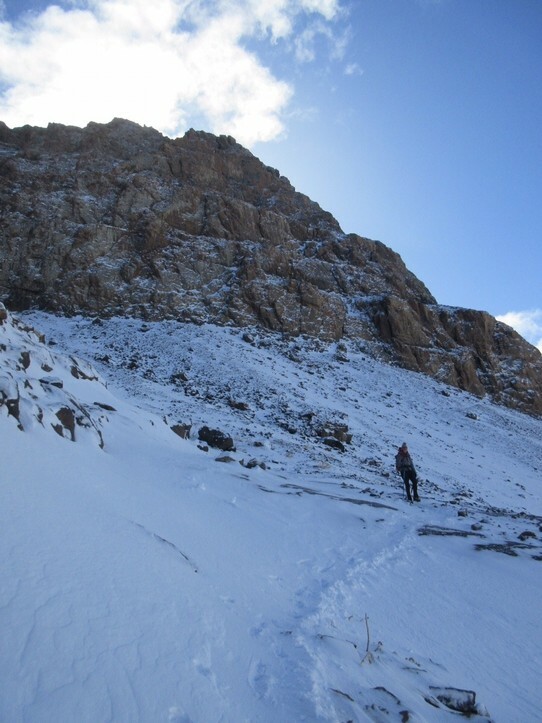 After talking to a couple of local guides about certain routes we had decided on attempting Toubkal via the South Col. Weather sounded really good as well so it was all go go go for the morning, bags packed, breakfast organised for 5:30 and in bed by 19:30, in the morning we set out on our mission, to summit the highest point in North Africa!